EdTechnocation: My New Favorite Podcast: the Google Teacher Tribe! 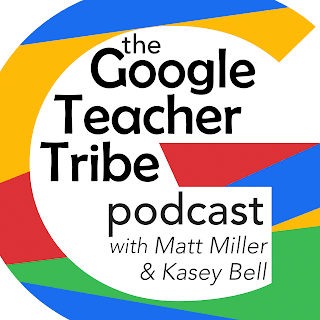 My New Favorite Podcast: the Google Teacher Tribe! I have very long drives to school and back home again during the weekday and the radio just doesn't cut it. So instead, I fill my phone with iTunes podcasts and the enjoy the learning as I drive. 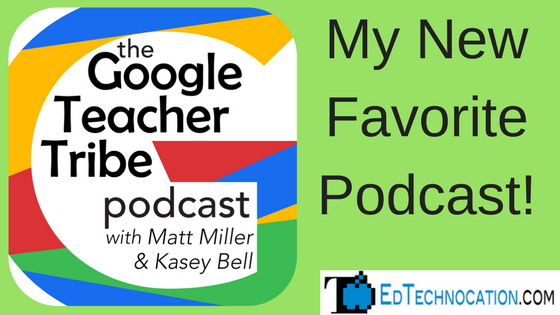 One of my new favorite podcasts just started in January 2017, the Google Teacher Tribe podcast with +Kasey Bell and +Matt Miller. The Google Teacher Tribe podcast is an amazing collection of interviews, Google related news, tips, and tricks! They release a new podcast every Monday on new and different topics. Want to become a VIP member? Fill out the form! You even get a cool badge! You can also send them questions @GTeacherTribe on Twitter or @GTeacherTribe on Facebook. Leave them a voice message as well on their website. Sometimes they'll play them on the podcast. Add the Google Teacher Tribe podcast to your list whether you're on iOS, Android, or sitting at your desk grading papers.